There are two kinds of license option for MyDiamo — Free Licence and Commercial License. MyDiamo Free License (MDFL) allows the user to install and run MyDiamo for zero cost. The free version supports up to 128-bit encryption and only allows five columns with the setting of five security policies. MDFL license activation period lasts one week upon request and will expire if unactivated. Users will have to request a new license to be issued after the activation period expires. Also, the free license requires users to renew them every month. MyDiamo is the ultimate open source encryption solution for your DBMS that meets the compliance of HIPAA, PCI DSS, and GDPR. Download the free license today at zero cost and protect your valuable data. *Also compatible with MariaDB and Percona. Please email us If your open source database version isn’t listed in the above. 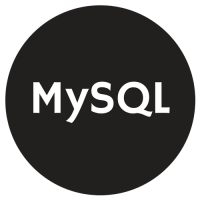 For older supported database versions, please visit here.